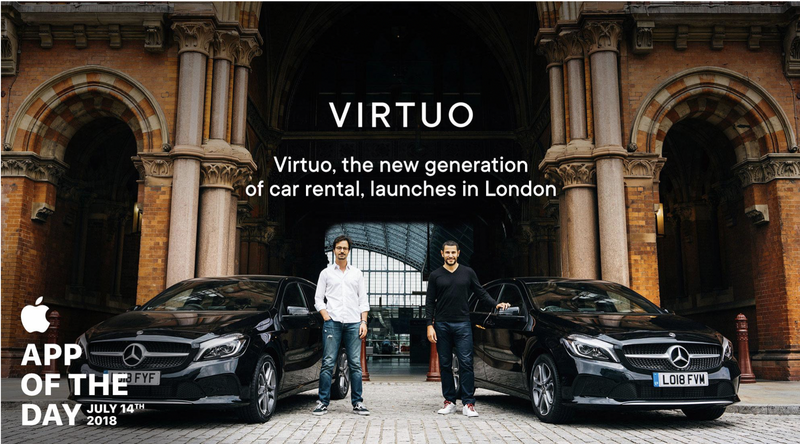 The first 100% mobile car rental service, Virtuo, has arrived to shake up the car rental scene in London. Virtuo is a premium, 100% mobile and hassle-free car rental service to help you escape and explore the city. Every aspect of the app based service has been designed specially for the customer to make renting a car an amazing experience. The Virtuo app was hand selected by the Apple team as App of the Day on Saturday 14th July, generating thousands of installs and excitement around the service. The new service lets customers book, locate and unlock a premium Mercedes A-Class within minutes through the Virtuo app. There is no paperwork, no long counter queues to collect and return a traditional rental car and no hidden fees. Virtuo customers can spend more time enjoying your trip, rather than sorting out your car hire. However, this all-in-app experience is not at the expense of customer service. At the heart of Virtuo is our London-based customer service team, who are always on-hand and can be contacted directly through the app, any time of day or night. Operating our own fleet of standardised premium cars allows us to ensure a consistent and stylish experience. The brand-new cars are available right now to book through the Virtuo app and pick up from six locations across London (London Victoria, London Waterloo, King’s Cross St Pancras, Marble Arch, Stratford and Kensington). Users can simply download the Virtuo app, validate their account, book their car and be on the road in a matter of minutes.